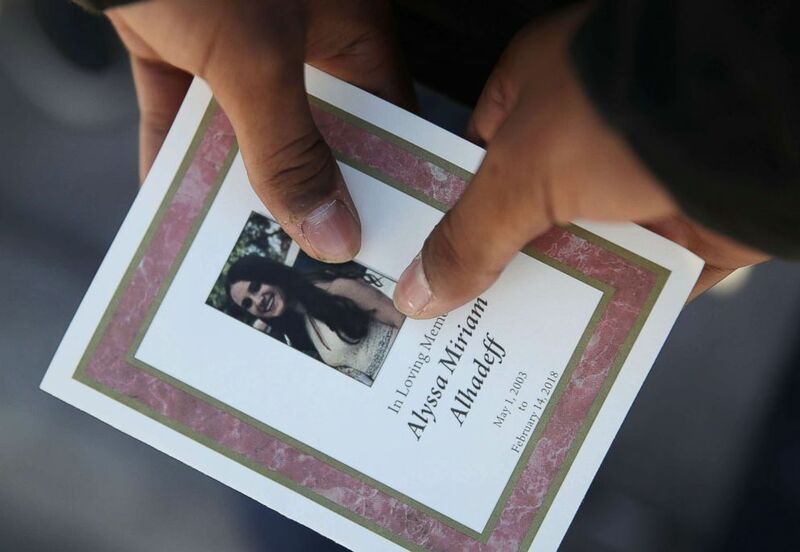 Alyssa Alhadeff, a 14-year-old freshman, was among the 17 killed. The mother of Alyssa Alhadeff, who was among the students killed in the Parkland, Florida, school shooting massacre, penned a heartbreaking letter to her slain daughter as the anniversary of the shooting approaches. (Joe Raedle/Getty Images, FILE) A program is seen from the funeral of Alyssa Alhadeff at the Garden of Aaron at Star of David Memorial Gardens in Parkland, Fla., Feb. 16, 2018. 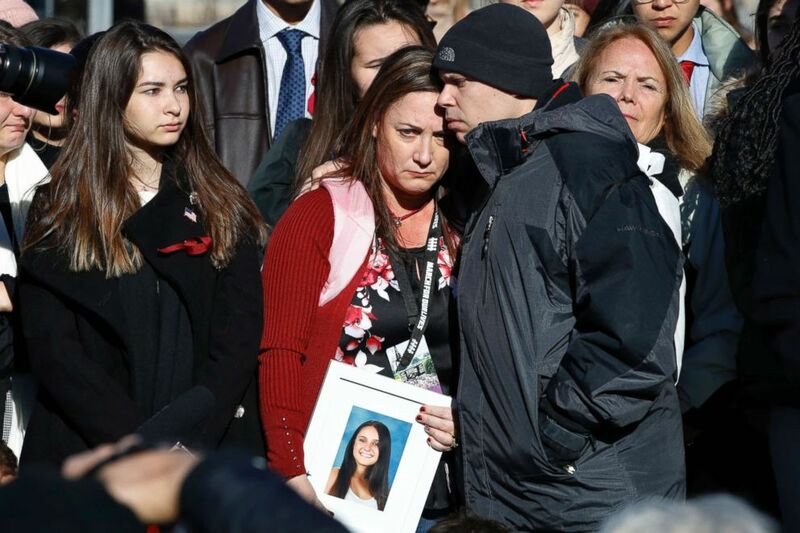 (Jacquelyn Martin/AP) Lori Alhadeff is comforted by her husband Ilan Alhadeff as she holds a photograph of their daughter, Alyssa Alhadeff, 14, who was killed in the shootings at Marjory Stoneman Douglas High School, while they attend a news conference on gun violence, March 23, 2018, on Capitol Hill in Washington, D.C., ahead of the March For Our Lives on March 24. (N.J. 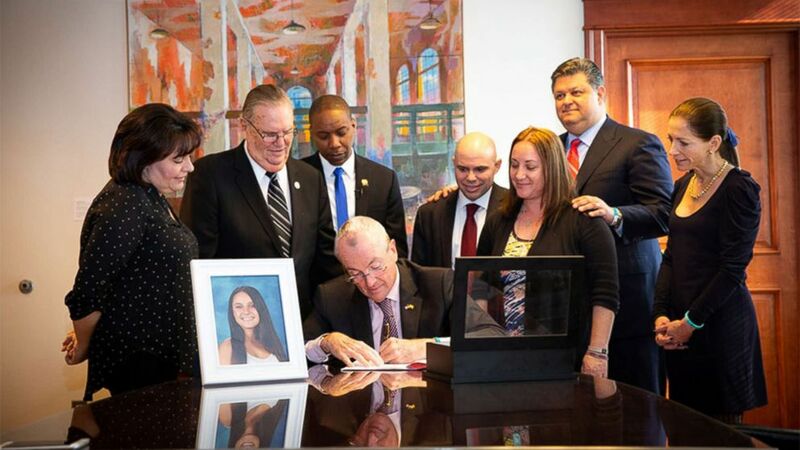 Governor's Office) New Jersey Governor Phil Murphy signs "Alyssa's Law," requiring New Jersey public schools to install silent alarms to alert law enforcement in case of emergencies, in Trenton, N.J., Feb. 6, 2019.